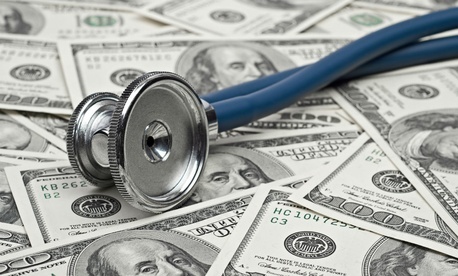 Unqualified claimants received as much as $14.1 billion in improper payments under the Medicare Advantage alternative insurance for seniors during 2014, in part because Health and Human Services Department specialists have not effectively selected providers for auditing, the Government Accountability Office found. The managed care program, which contracts services to commercial companies supervised by CMS, has about 16 million participants. In addition, the agency’s failure to tap outside information to select the original contracts for auditing impedes recovery of improper payments because the current methods “do not align with federal internal control standards, which require that agencies use quality information to achieve their program goals,” said the report, addressed to House Ways and Means Committee Chairman Kevin Brady, R-Texas. Many of the agency’s risk adjustment data validation audits have taken multiple years, in part due to a lack of deadlines and in part because of incompatible systems for receiving medical records from the contractors, GAO said. CMS’ methodology did not sufficiently account for health organization contracts that were consolidated or focus on those with the highest Medicare Advantage enrollment. GAO made five major recommendations for improving efficiency and effectiveness in recovering improper payments, most of them technical and dealing with data quality—such as spotting when the same organization has submitted more than one contract. CMS was also tasked with focusing its recovery efforts more selectively on the contracts most likely to include unwarranted payments.